but you may not want to read this post until you've seen it! 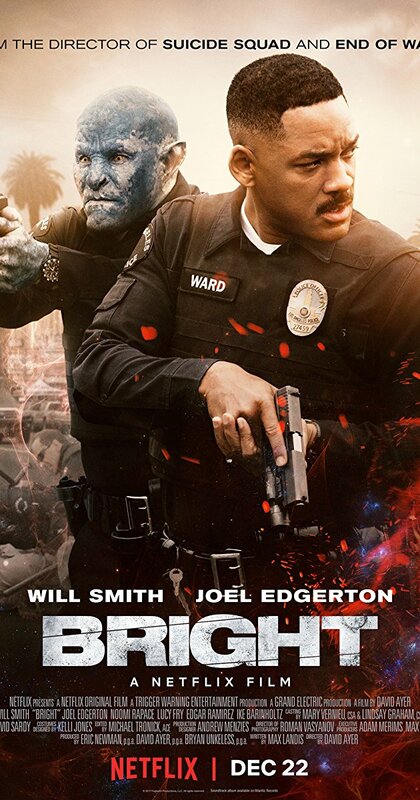 Bright is a 2017 movie made for Netflix, starring Will Smith, Joel Edgerton and Noomi Rapace. The movie is set in a world very much like our own, except it is inhabited by elves, orcs, fairies and various other fantasy creatures. The different races have settled into stereotypical lives, with elves living in gated communities and holding most positions of power, and orcs living in ghettos and doing menial jobs. Humans are somewhere in the middle, trying to navigate this complicated society. Daryl Ward (Will Smith) is an officer in the Los Angeles Police Department. He is paired with Nick Jakoby (Joel Edgerton), the country's first orcish policeman. Ward is distrustful of Jakoby, having already been shot once while on duty with him, and knowing of the orcish race's reputation for being loyal to their own clans above anything else. One night they respond to a disturbance at an apartment block which turns out to be a stronghold for a renegade group called Shield of Light. Most of the inhabitants have been killed in an unusual and brutal way. The only survivor is an elf named Tikka (Noomi Rapace), who has a magic wand stolen from another elf. In this world, magic exists, but can only be manipulated with magic wands, which are very rare artefacts. Only one individual in a million can wield a magic wand: these people are called Brights. Anyone else who tries to touch it will die. There are many desperate enough to try though, and very soon Ward and Jakoby find themselves confronted with gangsters, both human and orc, a gang of elves called the Inferni who need the wand to resurrect the Dark Lord (no, not that Dark Lord, a different one! ), and even fellow police officers who plot to take the wand from them. Knowing how dangerous the wand would be in the wrong hands, Ward, Jakoby and Tikka embark on a flight for their lives. The story became confusing, as the Shield of Light group were not properly explained, and gave way to the Inferni and various other groups as it went along. Yet other concepts like the magic wand were over-explained repetitively. And in a world where a magic wand can do anything, erasing any consequences, you tend to stop caring. Even the fight scenes with awesome-looking evil elves, when we finally get to them, aren't all that satisfying. On the other hand, I particularly liked the opening sequence, which showed street art and graffitti depicting the basics of the different races and their attitudes towards each other without having to go into exposition. The most intriguing part of Bright for me was the character of Nick Jakoby, whose character unfolds to be so much more than the stupid, incompetent oaf that everyone takes him for. Apparently there will be a sequel. 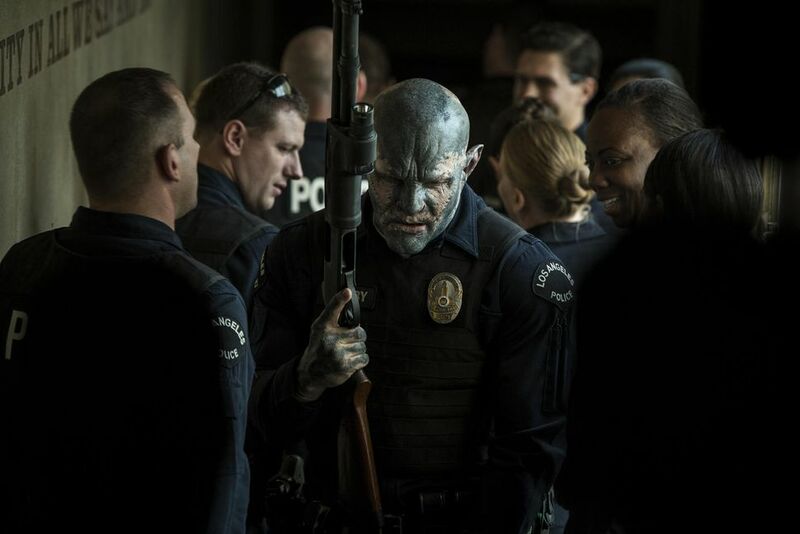 I still need to watch Bright. Thanks for the review (and I hope they'll shed more light on the other fantasy races in the sequel)!